- Whey protein: Whey should concentrate and whey protein isolate, which allows . 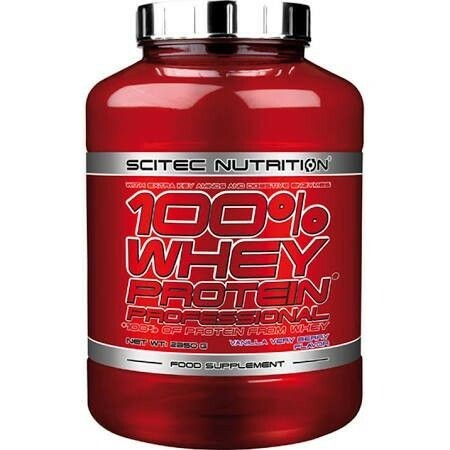 The nutrition scitec proteins, from the whey, are one of the key elements for any bodybuilder, as they have a high biological value (BV) because they provide all the necessary amino acids, including the body can not synthesize and must be ingested through the diet: histidine, isoleucine, leucine, lysine, methionine, phenylalanine, threonine, tryptophan and valine. - Digestive enzymes: The main function of these enzymes is to improve the absorption and assimilation of protein by the body of the athlete. By itself the body does not absorb all the nutrients and elements we eat. 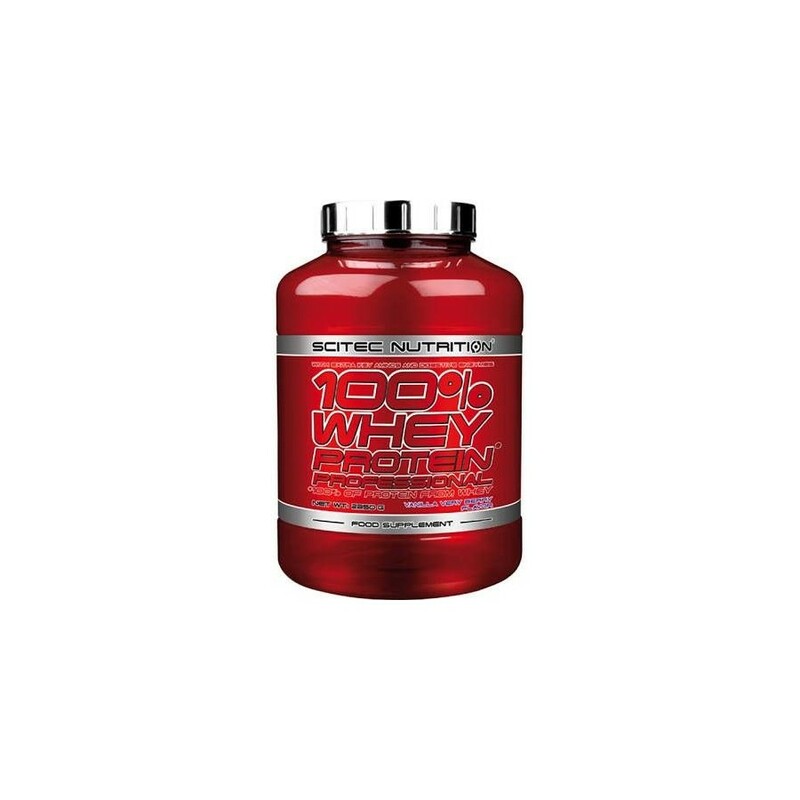 For that reason, the inclusion of these enzymes in 100% Whey Protein Professional greatly helps our bodies take much intake and absorption of amino acids. - 100% Whey Protein Professional enhances the ability to produce glutathione, one of the most effective antioxidants generated by the human body itself. - 100% Whey Protein Professional helps the immune system of our body because it contains approximately 10% intact immunoglobulin protein microfractions. - The low percentage of lactose is also being reinforced with a matrix of anabolic leucine, amino acids glutamine and taurine. 100% Whey Protein Professional is a reinforcement which increases protein synthesis and increasing the number of cells in the muscle tissue of the athlete. - Whey Protein Professional Scitec Nutrition brand offers cuadrapéptidos contribution that helps the body to loosen the muscles after an intense day of training thanks to its calming effect. You can use 100% Whey Protein Professional to maintain your current form, or to increase muscle volume. It is a product easily digestible and with lots of flavors: strawberry, chocolate, banana, vanilla, orange with chocolate, coconut, chocolate hazelnut, cappuccino, caramel, chocolate with coconut, chocolate coockie and cream, chocolate and butter peanuts, chocolate raspberry, chocolate with marshmallows, vanilla and honey, kiwi and banana, lemon cheesecake, Granada, Freca and white chocolate, vanilla pear, vanilla very berry and peach yogurt. - 30 grams should be mixed with 250 ml. preferably water or milk. - The number of shots depends on each athlete, depending on your muscle mass and your routine, varying from 1 to 4 doses per day, preferably on an empty stomach in the early morning or after training. Hazelnut chocolate: whey protein concentrate (milk, emulsifier: lecithin) containing lactoglobulin, lactoferrin, lactalbumin and immunoglobulin protein fractions; taurine, reduced fat cocoa (10-12%), flavorings (chocolate, hazelnut, creamy vanilla), sodium chloride, L-glutamine, thickener (xanthan gum), L-leucine, sweetener (acesulfame-K, sucralose powder ), whey protein isolate (milk, emulsifier: lecithin), dextrose, extracted Ananas comosus bromelain (1200 GDU / g), extracted from Carica papaya papain (1.5 FIP U / mg).